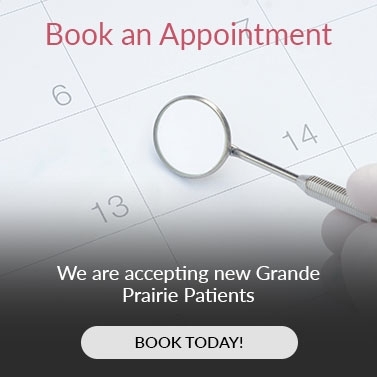 Our Grande Prairie Dentists offer full and partial dentists for patients missing one or more teeth. Dentures are an affordable option for replacing a tooth or many teeth. There are two types of dentures we offer for our Grande Prairie patients – Full and Partial. Full dentures are often recommend to replace all of a patient's teeth in the top and/or bottom section of the mouth. Full dentures are usually made from acrylic or porcelain. Alternatively, partial dentures may be recommended to replace one or more missing teeth. Partial dentures are more often made from a combination of acrylic and metal. Consult with one of our dentists today, to learn if you would be a good candidate for dentures.